Ella Mai recently dropped her self-titled debut album on Oct. 12. Fans all around the world reacted, leading her name to fall among the top trending topics on Twitter for that day. The highly-anticipated album, which dropped just after midnight here on the East Coast, contains 16 tracks, including one of her most recent singles “Whatchamacallit” featuring Chris Brown. Other popular artists are found on her album; John Legend appears on the track “Everything” and H.E.R. accompanies Mai on the track “Gut Feeling.” There is also a bonus track of her worldwide hit, “Naked” from earlier this year. Now for the second part of her tweet: the trip. While there’s a different type of trip in the works now—her world tour—that one is actually a title. Her single “Trip” went platinum in the beginning of October, shortly after it made the R&B/Hip-Hop Airplay chart by Billboard at #10 in September and jumped nine spots up to #23 on the Hot 100 on September 22. It is currently at #11 on the Hot 100. “Trip” has been among the top 100 hits for eleven weeks now. As for the “4 soul train award nominations,” Ella Mai holds the fourth-most Soul Train nominations this year. Only H.E.R., Bruno Mars, and SZA ranked above her in terms of number of nominations, which were announced by BET Networks on Thursday. According to AP News, the annual celebration recognizes the best in Soul, R&B, and Hip-Hop music, whether that be from well-known legends or underground artists just starting to spread their wings into stardom. 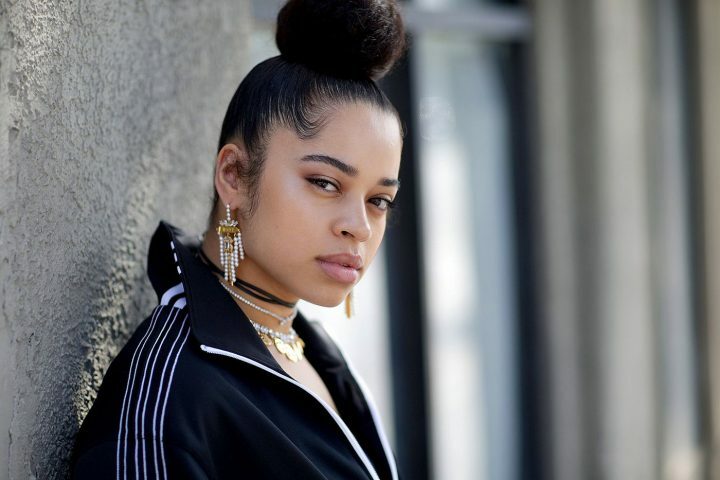 Ella Mai was nominated for the categories of Best R&B/Soul Female Artist, and Song of the Year, The Ashford and Simpson Songwriter’s Award, and Video of the Year, all for her single, “Boo’d Up,” which appears on her debut album. If that wasn’t impressive enough, the Queen of Hip-Hop Soul herself, Mary J. Blige, FaceTimed Ella Mai to tell her she is her favorite singer right now! Blige has released 13 studio albums in her career and eight of those have achieved multi-platinum worldwide sales, so that compliment hold a lot of merit. This is an exciting time for Mai and her fans. She has planned 39 shows thus far on her upcoming Debut Tour, presented by 10 Summers. It spans the months of January through March, visiting Europe, Canada, and the United States. The closest date for Bloomsburg fans to travel to is in Philadelphia on Wed., March 13 at the Theatre of Living Arts. This should be cozy yet premiere venue which can hold about a thousand concert-goers for an up-close and personal concert experience. But there’s no need at all for fans at BU to wait that long—Ella Mai’s performance is just a little over two weeks away and it is sure to be a soulful pleasure. Paired with Bryce Vine, an energetic and smooth up-and-coming rapper, no one should leave unhappy. Tickets are on sale now in KUB 350 for just $30 with BU ID.